As the tools of the digital age continue, for better or worse, to gain a stranglehold on the way we do business, it’s news to no one that there’s never been a tougher time for independent bookshops. But what if, along with just staying alive, you’re trying to develop a space that can actually effect some social and political change? That two-pronged challenge is one faced everyday by Housmans, which, for over a half-century, has remained London’s self-described “premier radical bookshop.” As people across the world — especially in the Arab countries, and in urban centers like New York and London — have begun massive nonviolent protests against perceived injustices of the powers that be, organizations like Housmans, though rare, remain valuable places to share progressive ideas and great books. 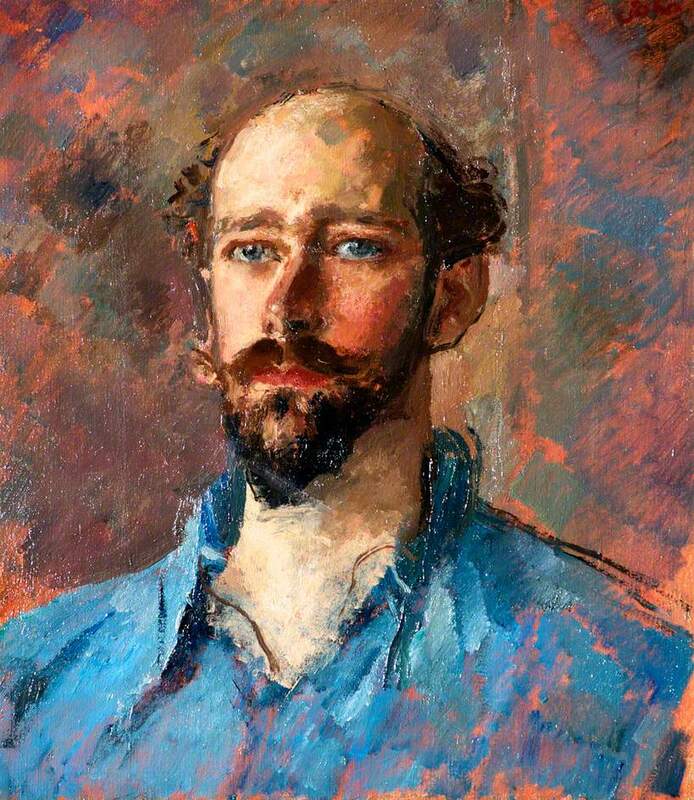 The shop was originally founded in 1945, and is named for Laurence Housman, an English playwright and outspoken pacifist. Peace News, an international antimilitarist publication, helped Housmans move into its current location — near the King’s Cross Underground Station in Central London — in 1959. 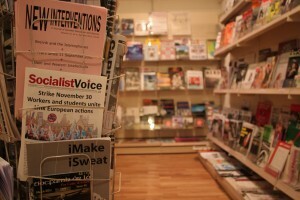 One of the most vital benefits of the shop’s partnership with Peace News is that, since the magazine owns the building, rent hasn’t become the suffocating issue it does for many independent booksellers. Another benefit came in the form of new workers who provided valuable revitalization. About four years ago, after spending time at Peace News, Nik Górecki joined the staff at Housmans. He realized that, in order to keep the left wing spirit of the shop alive in a mainstream market that left little room for error, he had to start making changes. The idea of stocking fiction was, itself, a foreign one to Housmans for years — but it now includes an incredibly diverse array of work from leftist thinkers, including hundreds of new and back issue magazines and both literary and political journals, alongside nonfiction of all kinds. Though it lies on one side of the overall political spectrum, that sense of diversity is one that’s very special to the foundations of the shop. When Górecki introduced a regular events calendar as part of his first contributions, he remembered the conflicts that began to arise — and still do arise — from such consistent and passionate meetings of the minds. Keeping those debates alive, though, has remained a struggle for Housmans, even as Górecki continues to implement new strategies to stay in touch with readers and activists. With the advent of Amazon, it’s become more than difficult than ever to maintain a reliable customer base — and that means fewer staff, longer hours, less pay and more headaches. On top of that, it’s not enough for an independent seller just to compete. It takes some over-the-top effort to convince people to get up from behind their computer screens and walk down the street these days. And one reason the shop is still around is that, if you’re of the leftist persuasion, it’s really hard not to want to want to keep coming back to Housmans. Along with plenty of shelf space compared to some independent sellers, the place has some serious character. 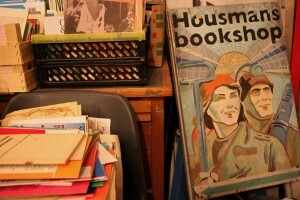 Posters on the walls commemorate social protests and rallies of the past, dusty old issues of obscure magazines sit ready to be leafed through, and the basement is currently stuffed with hundreds of secondhand books priced at £1 each. But, as Górecki makes clear, staying open isn’t enough. With an “Occupy London” protest springing last up month alongside hundreds of other similar movements throughout the world, it’s become more important than ever to rekindle the fire of nonviolent protest and engaged pacifism that many — including Górecki — believe has waned since the ’60s. For Housmans, that means maintaining an events calendar full of new and old writers and thinkers, staying in touch with demonstrators, and providing an outlet for the historical knowledge many people don’t frequently have access to. 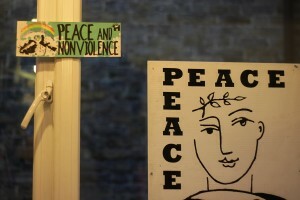 “When it comes to Occupy London, I think there’s been a bit of a disconnect that needs to be looked at in terms of tracing nonviolent movements throughout history,” Górecki says. “More could be done to go back to those sources of information, because I haven’t really seen it come up in a debate at all. Along with publishing a new edition of Gene Sharp’s influential text Dictatorship to Democracy earlier this year, Housmans is partnering with other independents to create the Alliance of Radical Booksellers. 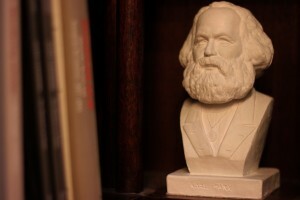 In 2012 the ARB will launch a new book award, the Bread and Roses Prize, for a work of political nonfiction. 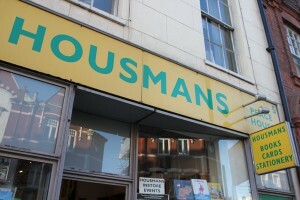 Check out housmans.com for more info (details on the ARB can be found at housmans.com/radicalbooksblog/). Anne Rice Gives Stephenie Meyer a "Backhanded Compliment"
enjoying all the wonderful articles from abroad!